It’s officially summertime but in true British style the weather is predictably unsettled. When it does decide to play nice I try to make the most of it and get outside in my garden even though I only have a small patio space. I’m most definitely a novice when it comes to anything involving nurturing plants and flowers so I was pleased to discover that there’s a new gardening show taking place this month that’s got a bit of a different take on traditional garden fairs. GROW London is a contemporary garden show dreamt up by Will Ramsay, founder of the Affordable Art Fair, who wanted to share his passion for contemporary gardens of all scales with others. There are nearly 100 exhibitors at the event and here I’ve selected a few of my favourites from the line up. With a boutique-sized garden I don’t have much space for large items and welcome stylish storage solutions so I was immediately drawn to this reindeer wall mount from Barbed. Not only would it keep my garden hose tidy but it would also add a design element to my outside space. I love the idea of indoor plants but with a cat that has a penchant for munching on anything with leaves it’s a bit difficult to have any plants in the house. 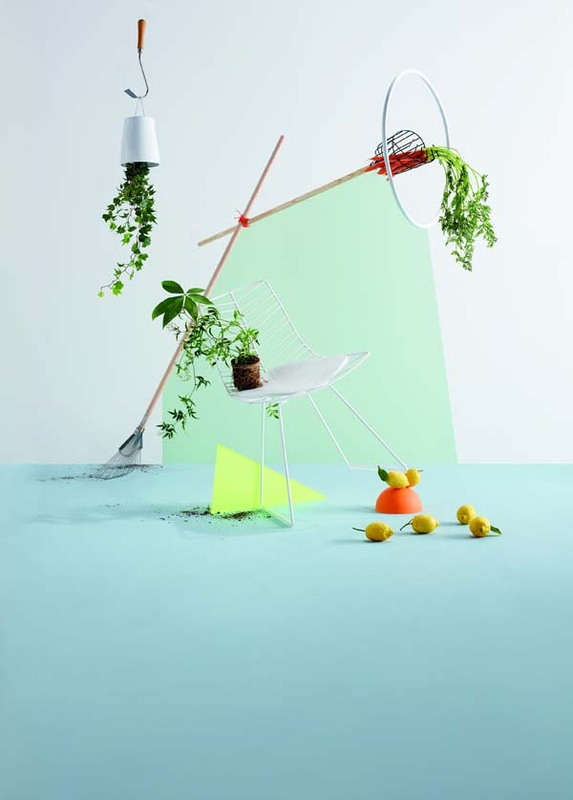 So I was intrigued to discover the upside down sky planter from Boskke. The planter has an innovative design featuring a reservoir that gradually feeds water into the plants roots. If you have a Pinterest account then it probably won’t have passed you by that terrariums - small glass containers filled with plants - are having a bit of a moment. The revival of the terrarium has been particularly popular in Canada and the States and The Urban Botanist, a Cheshire-based company, is bringing the trend across the Atlantic. There are three collections of handcrafted terrariums to choose from with the Aztec design my particular favourite. If you’re currently looking for a wedding gift then these are definitely a lovely unique present option. If you’re a fan of Scandinavian interiors you can also embrace the style in your outside space with these chairs from NorDeck. Offering a modern eco-friendly take on traditional deck chairs, these understated wooden chairs, available in pine, oak, larch, birch and alder wood, would instantly update your garden in time for summer. GROW London takes place on Hampstead Heath from 20-22 June and features a line-up of experts including Thomas Broom from Petersham Nurseries and landscape designer James Alexander-Sinclair who will be imparting their horticultural knowledge at the gardening talks.